Resort style living at its best! Townhouse located in a colorful, Caribbean style resort community. Property offers total of 3bds/3bth. Property has the back unit where the 2bds/2bth is and front unit where the additional 1bds/1bth (In-law suite) is located in with its own private entrance. Which can also be used as an income producing rental unit for long/short term. ROOF installed 2016 and A/C INSTALLED 2017, freshly painted. All first flooring is tile, and 2nd level is laminate. Community offers: Gated community, Security guard, pool, fitness center, basketball, volleyball and tennis court. Fun for the whole family! 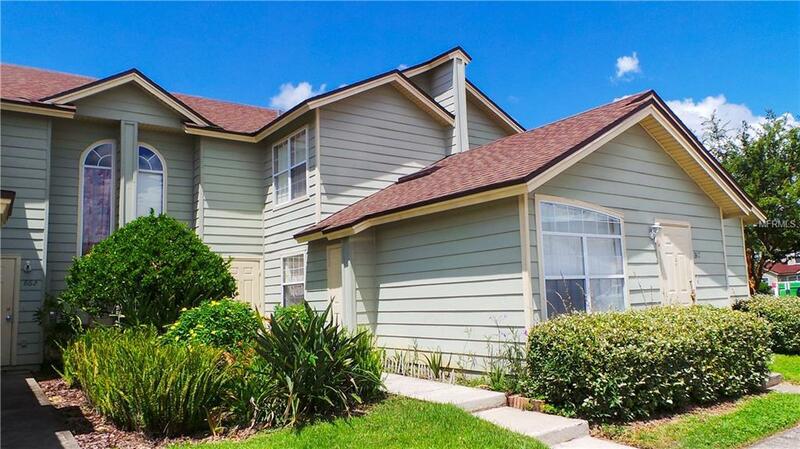 Near Disney World, Restaurants, Shopping Centers, Hospitals, Hwy I-4 and Hwy 192. Move-in ready property for 1st time home buyers or great opportunity for Investors as well. All measurements are approximates. Book you tour today! Additional Lease Restrictions All Of The information is intended To Be Accurate But Not Guaranteed. Buyer Or Buyer's Agent To Verify With Home Owners Association. Pet Restrictions All Of The information is intended To Be Accurate But Not Guaranteed. Buyer Or Buyer's Agent To Verify With Home Owners Association.